This time of year there are carrots and zucchini in startling quantities. There are only so many formats for these guys and dealing with their inventory overflow cannot be ignored. 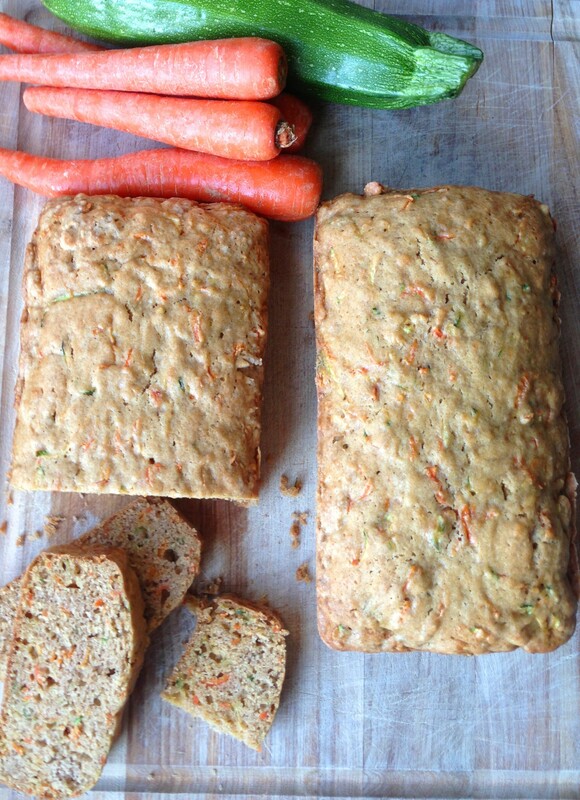 Solution: Carrot Zucchini Bread. 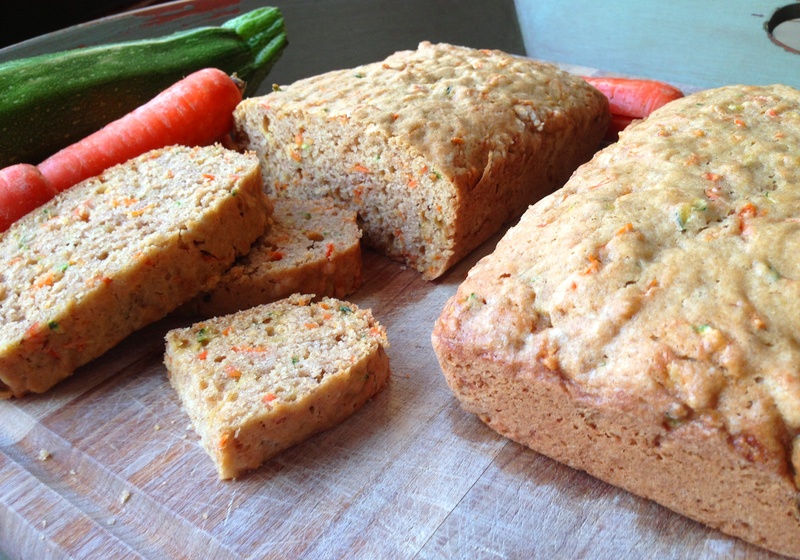 Code name: Vegetable Cake. Alas, this bread/cake/treat has vegetable oil, white flour, sugar all the things that make it perfectly moist and delicious. 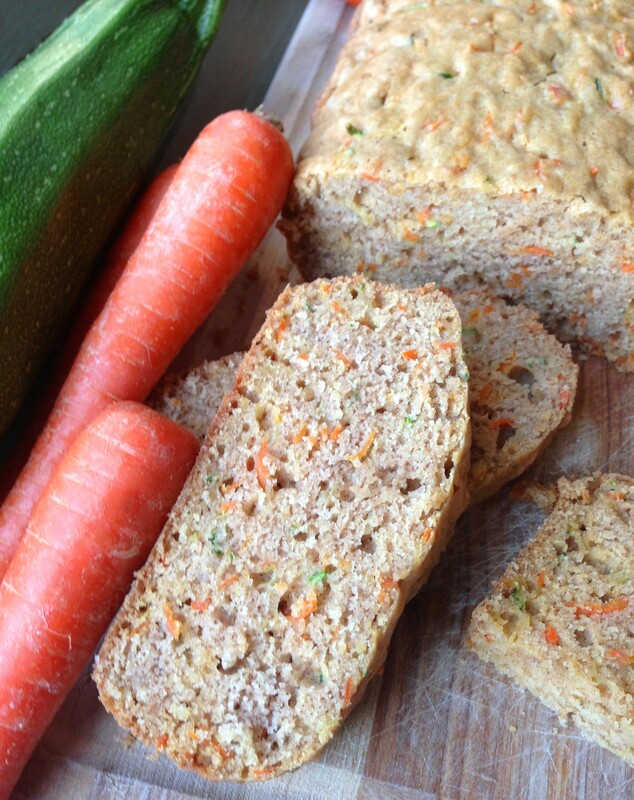 You can’t mess this up but you can help reduce excess carrot/zucchini stock. Do your part. In a large bowl sift together the flour, cinnamon, baking soda, baking powder and salt. Whisk to combine. In another large bowl whisk together eggs until foamy, about five minutes. Add the oil, sugar and vanilla and whisk. 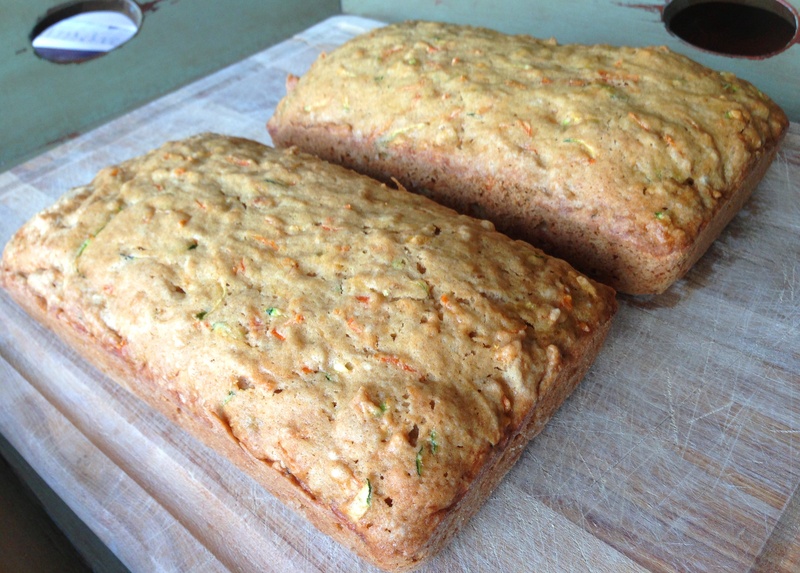 Add the carrots and zucchini and combine. Add the dry ingredients to the wet mixture and stir until blended. Split batter between two greased cake pans (I buttered and floured mine). Place into a 325 degree F oven for 45-55 minutes until they are puffed in the middle and spring back when pushed gently with a finger.